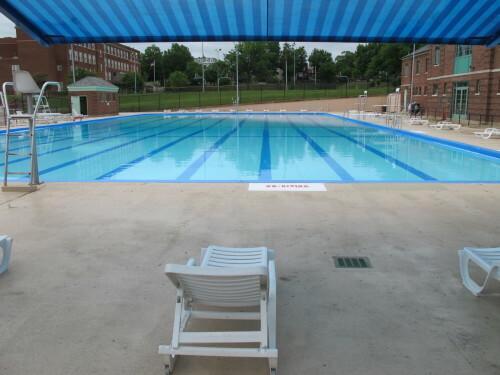 PoPville » Dear PoPville – New Rule at Public Pools? Dear PoPville – New Rule at Public Pools? Not sure if any information is out there, but encountered a “new rule” while swimming laps at Francis pool. While swimming laps today I was told, everyone out of pool for 15 minutes, every hour, new rule. Kids, I can see needing a break, but adults swimming laps. This is like going to the gym and being told to get off a machine or stop using the equipment. Lifeguards were nice,but just sat around for 15 min. Frustrating, burned up a half of lunch swim time. Emailed DC Parks and Rec, no response. “Regarding the 15 minute safety break. In a municipal pool setting, 15 minute safety breaks are very standard. They are in place for several reasons. The CDC Healthy Swimming tips recommends this practice in pools that serve a high number of children. During the break, parents take that opportunity to use the restroom which has drastically reduced the amount of water contamination closures. Secondly, our pools often hit capacity and traditionally we see large numbers of guests leave during the break and then we can accommodate more of the public. Third, some of our outdoor pools have small staffs and there needs to be an opportunity for them to check the restrooms, water chemistry, make adjustments, and simply refresh themselves to remain optimal vigilance. As a lap swimmer myself, I know it would be difficult to get a good workout with these breaks taking place. To remedy that, we have published designated lap swimming times and the safety breaks do not occur. Also our network of indoor pools are available for lap swimming without interruption. The outdoor pools by design are for community use by all. The indoor pools have public hours but also have more availability for other usage such as learn to swim class, self directed fitness and water exercise.